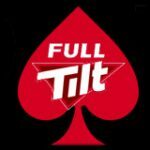 Full Tilt has been closed for nearly two months now, for a while poker players heard positive rumors that a group of European investors were looking to acquire the Full Tilt brand however things with that deal now look to have fallen apart with FullTilt announcing that they have begun negotiations with additional potential investors. 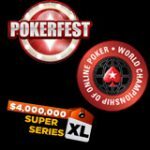 In their statement they said: “Full Tilt Poker will strive to have better communication with its customers going forward”; let’s hope that that part is true as to date their handling of the situation has been abysmal and one wonders if they still carry any value to the online poker world after all they have done or rather haven’t done. 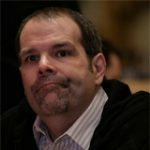 In other Full Tilt Poker news: Lothar Rentschler, CMO (Chief Marketing Officer) of Full Tilt Poker announced his resignation effective on 13 September 2011, if Full Tilt were ever to survive this catastrophe we could expect a complete management overhaul as part of regaining customer allegiance. 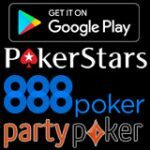 Based on the above information I think we will see Full Tilt Poker once again trying to extend the Alderney hearing date to a later date when they go before the commission on or before The 15th September as clearly the way things currently stand they will not regain their license and they will need a huge cash injection to pay off all their outstanding player balances. While all hope is not yet lost as it is reported that the original potential investor is currently in talks with the DOJ and that deal has progressed the furthest of all to date. Full Tilt Poker closed at the moment worldwide. Full Tilt Poker are looking for new Investors. Full Tilt's license with the AGCC is suspended. If Full Tilt open, USA players will be banned from any real money play. One thing that looks pretty certain is that players will be made to wait even longer until payments resume and one also wonders what investor would now look to get their hands dirty with this now overly tainted brand which must be losing millions daily by not operating and even worse the longer Full Tilt remain closed the more the brand’s value declines along with customer trust. I would imagine they have done too little too late and we will more than likely see poker players withdrawing their money from Full Tilt once they can never to return and they will probably end up like UB.